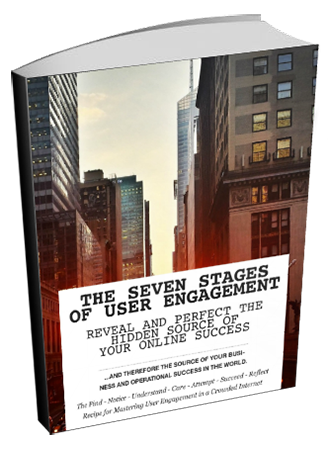 The Slipstream Method for Reaching Users in a Crowded Internet (FREE): Overwhelmed by all the noise online? Finding it difficult to be noticed, heard, and seen? Here’s how to use the craziness to your advantage. 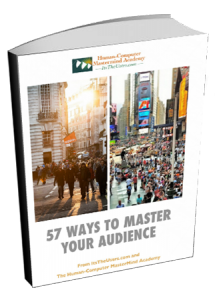 If you’re attempting to market yourself or your business or your idea online, you know how difficult it is to be heard, found, and noticed by your target users. But there’s a solution: flip all that online activity to your advantage by using it as a Slipstream, like drafting in auto racing or bicycle racing. Reveal who they are, what they need, and how they’ll respond to you and what you offer. Most importantly, show you how to connect with them, and learn in-depth, intimately how they interact with any interface, content, app, site, learning, or digital value you put out there in the world. 498 Free Experience Resources for User Engagement (FREE): Content is no longer King. Experience now rules. The King is dead, long live the King. The volume of content on the Internet has reached absurd proportions. Trillions of pieces of new readable, viewable content are produced every day – far exceeding the capacity of the human race to consume even a small fraction of it. And the retention rate of readable, viewable content is only 10%. Social media growth has stopped. People are burned out. They’re deleting their social apps and abandoning their social accounts in droves.The future is experience. Here are 498 leading-edge resources to help you master interactive experience – to attract, engage, and wow your audience. This is a must-have resource for anyone creating, publishing, and managing any online content, web sites, e-learning, social media, apps, software, or intranets. 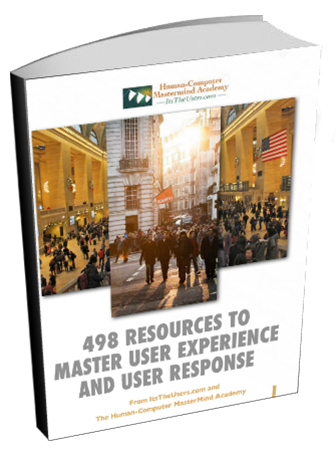 eBook on the Power of User Response (FREE): A 30-page ebook that introduces the importance of user response in all your online endeavors. 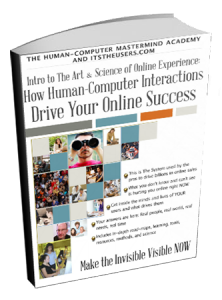 It shows how my ‘Experience Experience’ integrates the familiar components of effective online programs: content, design, functional excellence, social interaction, and the unique value delivered. 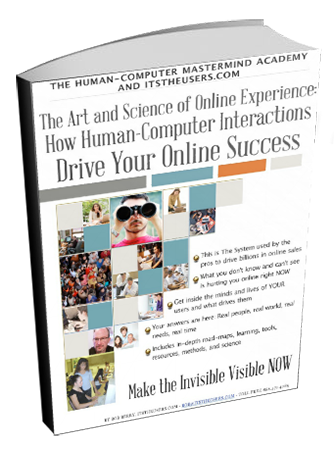 And the ebook describes the Human-Computer Interaction Framework – the fundamental model that brings together 11 interactive principles and practices that I’ve researched and applied with clients all over the world. 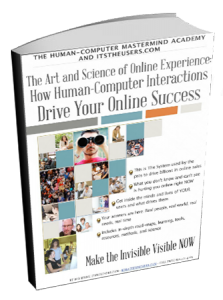 eBook and Tutorial: The Art and Science of Online Experience: How Human-Computer Interactions Drive your Online Success ($9): gives you an in-depth introduction to Human-Computer Interactions (HCI), the latest methods, strategies, science, tools, and a number of approaches and practical steps you can apply now to better influence your online users and reach your goals. 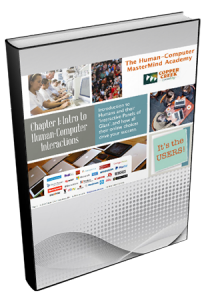 The Human-Computer MasterMind Academy and Professional Cohorts: My flagship offering, this is a personalized 12-week, hands-on, guided-by-me, top-to-bottom user experience evaluation and total HCI overhaul of your site, online business, app, social media, or any user-facing business-critical system, for you and your entire team. Delivered as small professional ‘mastermind’ cohort communities, this is proven to deliver returns of 10x, 50x, and more ($2499 per team – Contact Me). Individualized Personal, Team, and Company Coaching: In-depth professional development, personal coaching, and customized learning to get you into the online stratosphere. 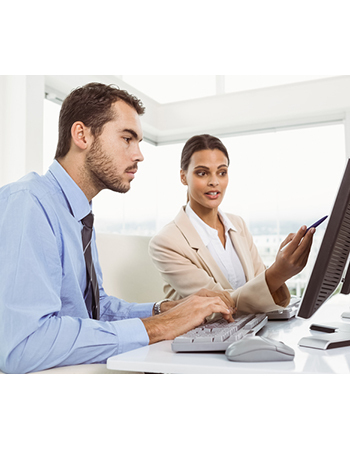 All services are tailored to you, your team, your systems, and your audience (Contact Me). Consulting and Research Project Management for User Experience, Usability, Human-Computer Interactions, and Interactive Excellence: Manage your enterprise-level HCI initiatives and tackle your big online challenges, to take your business to new levels (Contact Me). Content Ventures: The Big Kahuna – launch joint ventures or partnerships to build virtual product companies from your deep content and knowledge (definitely Contact Me).